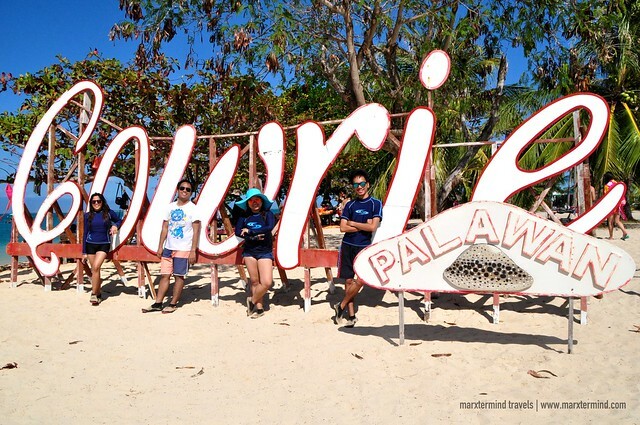 Three months after my vacation in El Nido, I went back to Palawan again. I was with another set of friends this time. Unlike my previous visit, I only had a weekend and so there was no chance for the group and for me to go further out from the city. Since I haven’t really spent vacations in Palawan solely for Puerto Princesa, I’ve thought it was a perfect timing for me to stay in the city and do some activity that I haven’t tried yet. And so island hopping in Honda Bay came out. 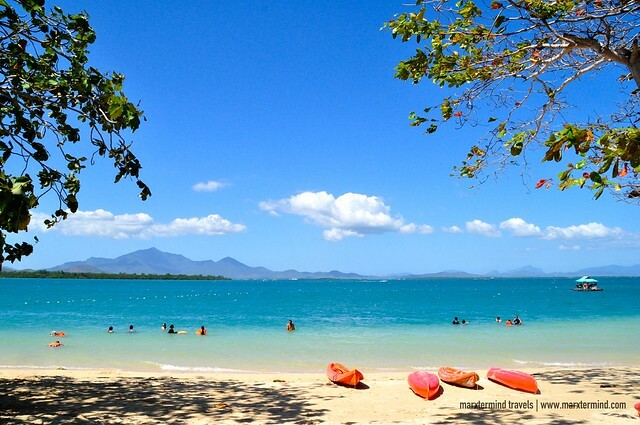 Honday Bay is one of the famous tourist spots that can be easily reached from Puerto Princesa. 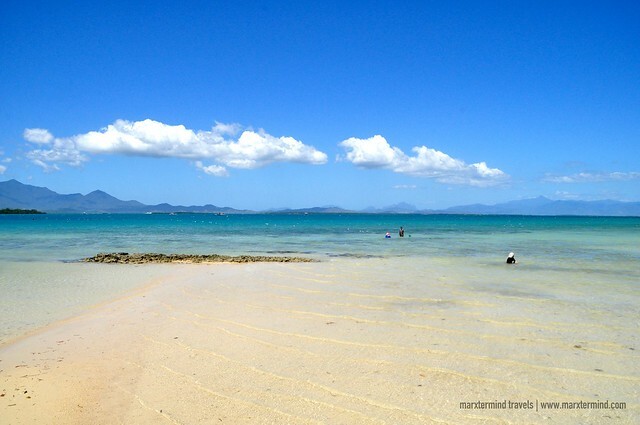 The bay is located on the eastern shore of Palawan. 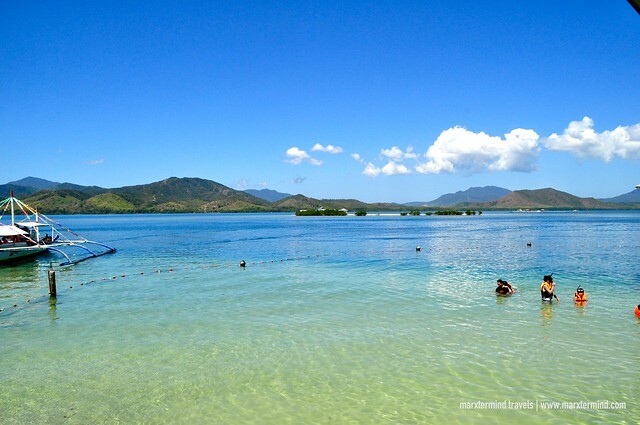 It has several islands good for swimming, snorkeling and diving. I didn’t set my expectations high for Honda Bay. Being on a beach and have fun with my friends were enough for me to already enjoy our day. But I guess having low expectation was a good thing after all. I didn’t imagine that I would be enjoying island hopping in Honda Bay so much. I didn’t know that this group of islands in Palawan has also something interesting to offer when it comes to beaches and underwater world. 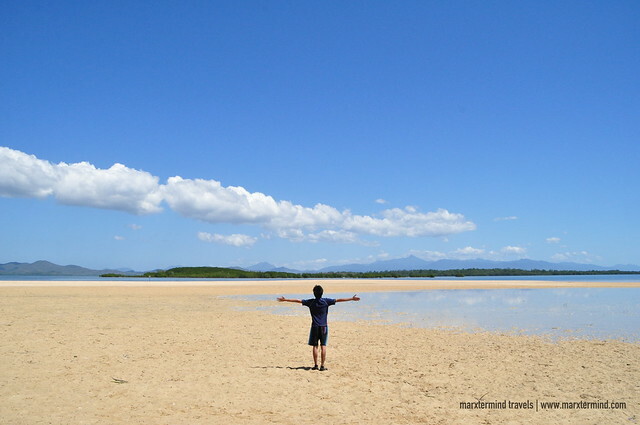 I thought I would only find amazing and stunning destinations in El Nido and Coron. But I guess I was wrong all along. 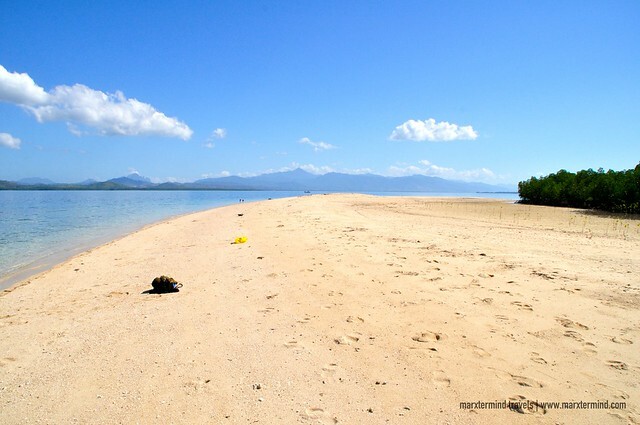 After experiencing island hopping in Honda Bay, I must say this is also worth a visit when in Palawan. 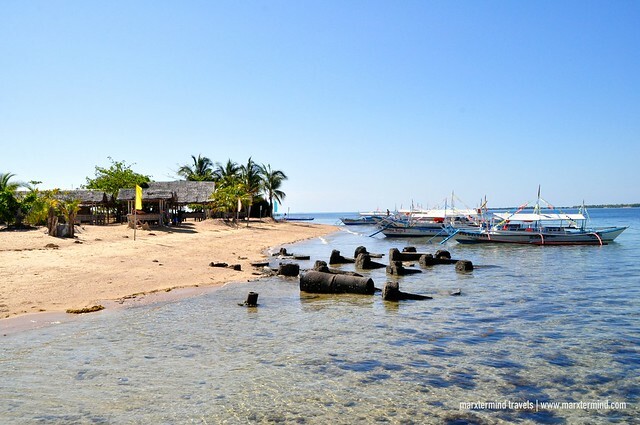 The easiest and most convenient way to explore Honda Bay is by joining a group tour. From Puerto Princesa, there are already a lot of travel companies offering tours. 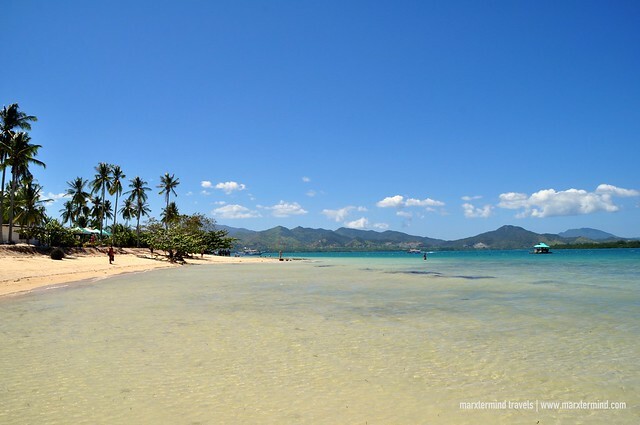 One that I’ve found reliable and has interesting island hopping tour was from the Natural Arts Travel and Tours. Generally, group tours in Puerto Princesa already include transportation, food and admission fees. 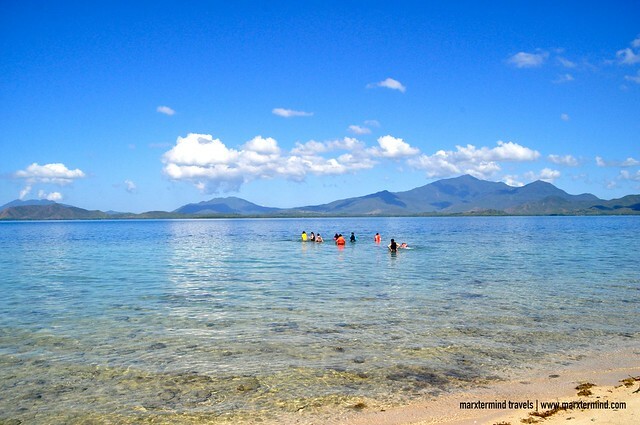 Rate for Honda Bay Island hopping costs PHP 1,340 per person. The tour package already includes round-trip land transfer, boat, admission and environmental fee, guide and a delicious buffet lunch. But if you’ll need snorkeling gear and aqua shoes, those are not yet part of the package. You can bring your own or rent one in a rental shop that the group would be dropping by before going to the wharf. Wearing aqua shoes is a must when island hopping in Honda Bay. It was around 9:00 AM when our group arrived at Honda Bay wharf. We were told to standby while our guide processed all the fees and permits for our island hopping activity. It was very convenient because we didn’t have to worry about lining up to pay the fees anymore. We waited for half an hour and we finally had our own boat. We boarded the motorized outrigger boat and excitedly started our adventure. 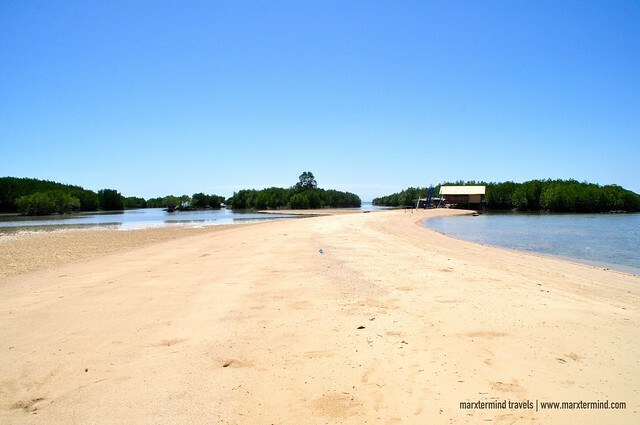 We were set to visit three islands – Starfish Island, Luli Island and Cowrie Island. There are still other islands in Honda Bay but these are the islands that are usually part of the tour. Thirty minutes after we left the wharf, we reached our first destination. Starfish Island was named as such because obviously, the great population of Star Fish in the area. The island was actually nice. It has a mangrove area in the middle. The beach was okay. The sand was creamy white. It has clear water. But what truly made me happy about this island was its snorkeling spot. 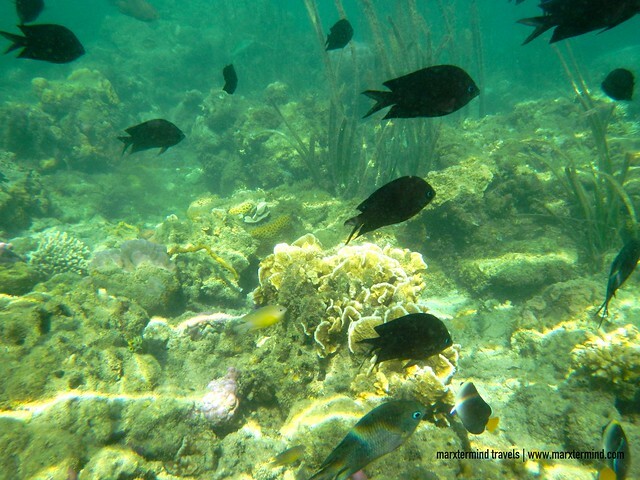 Our guide told us that the island has a nice undersea that is perfect for snorkeling. So upon hearing it, I took my snorkel and invited my friends to join me for a swim and snorkel. True enough, Starfish Island has spectacular underwater scenery. 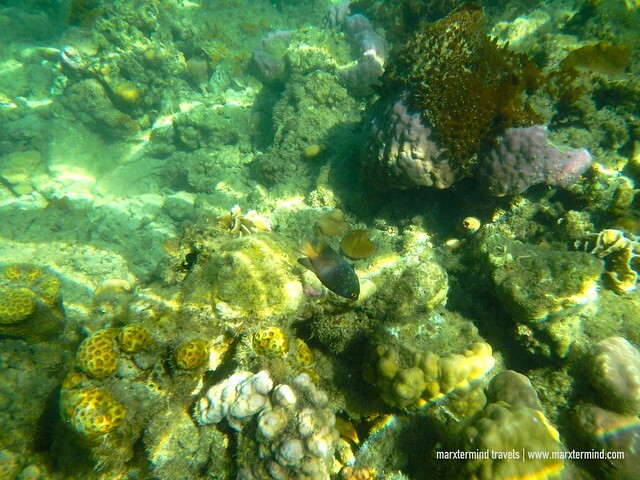 There were a lot of fish and corals. The snorkeling spot was actually wide. I was surprised. I’ve seen some interesting fish and corals. We enjoyed the water and its underwater scenery. 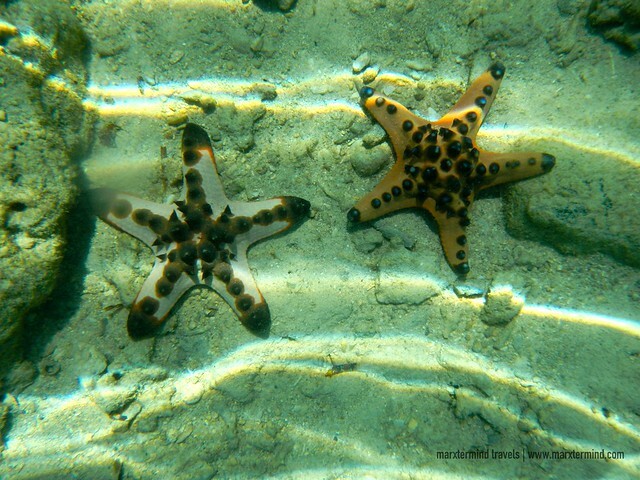 If only we still had a lot of time, we could still be enjoying the underwater of Starfish Island. Luli Island was our second destination. The name of the island actually means “Lulubog, Lilitaw”. In English it means sink and rise. It disappears during high tide and reappears during low tide. 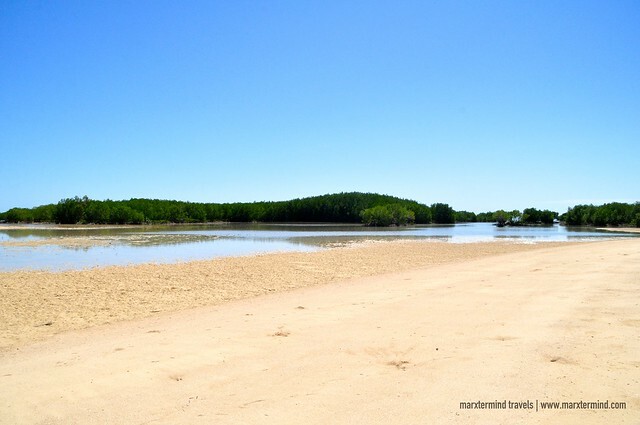 The island is composed of three sandbars. 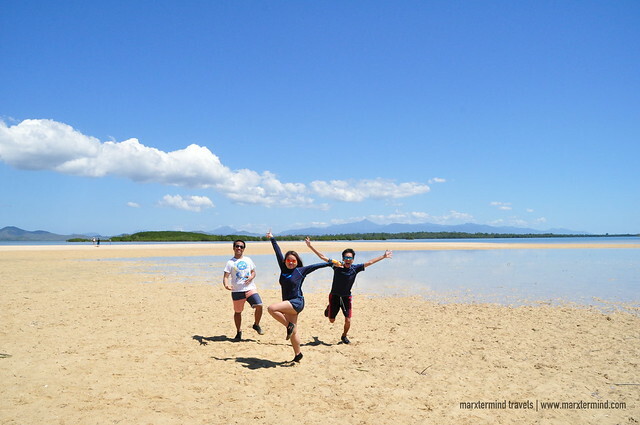 Seeing the vast area of sand bars made me and my friends excitedly got off from our boat – and took countless of photos, literally. Our guide gave us an hour to enjoy the island. But it felt like it wasn’t enough to experience everything. We were just started taking photos and selfies but we already spent half of the time. How I wish we could have more time in here. The island was also nice. There’s also a mangrove area located on the side. 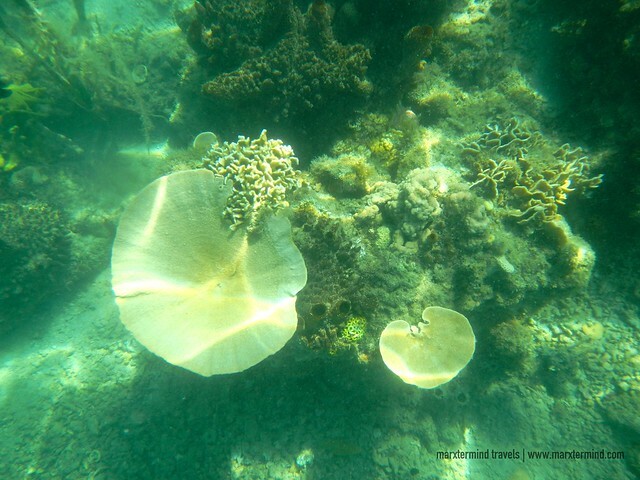 Our guide told us that we can also do snorkeling in Luli Island. We spent some time but the underwater looked dark and deep that we could barely see anything. But there were a lot of fish in the area. We spent the rest of our time in the island swimming – and trying some #gothrow shots. Cowrie Island was our last destination in Honda Bay. This island is the biggest among the three. This is also where we had our lunch buffet. Upon arrival, we went straight to the buffet area and there we enjoyed the unlimited seafood and some Filipino dishes. I love the calamari! Our guide told us that we can spend the rest of our time in the island. We would be leaving by 3:00 PM. And when I checked the time, it was still only 1:00 PM. Hallelujah! We still have enough time to enjoy. Making Cowrie Island as our last stop for the island hopping was perfect because it’s a great place for beach bumming and adventure. The island has a nice beach area. The water was clear and warm. Although crowded, it was still a lovely place. But if you want to avoid the crowd, you can go to the other side of the island or at the most end part of the beach, where we actually settled most of the time. It was good that we spent the rest of our day in Cowrie Island. Our group enjoyed playing in the water with our #gothrow shots. It was all fun and easy, which is how I just wanted to conclude our island hopping tour. Our group certainly enjoyed our day exploring Honda Bay. 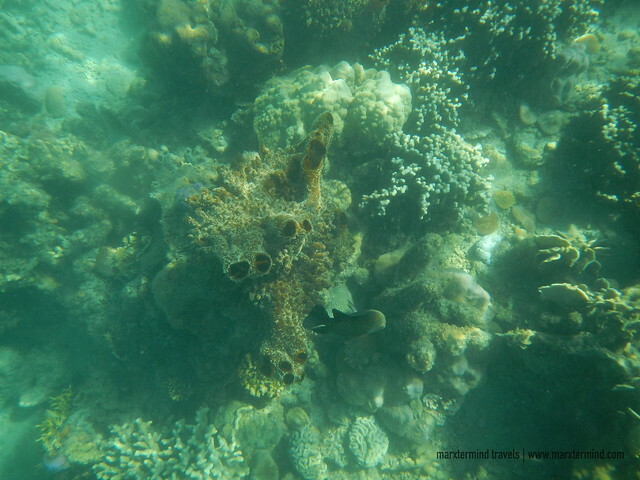 We were delighted to have a glimpse of the underwater world. We were pleased to experience the nice beaches and islands. 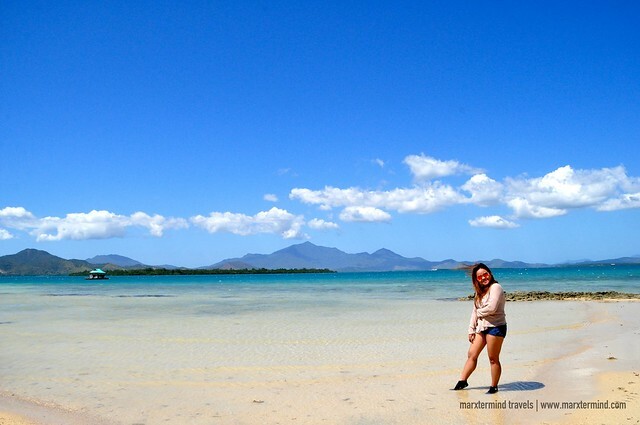 Our island hopping activity showed me once more why Palawan is World’s Best Island. 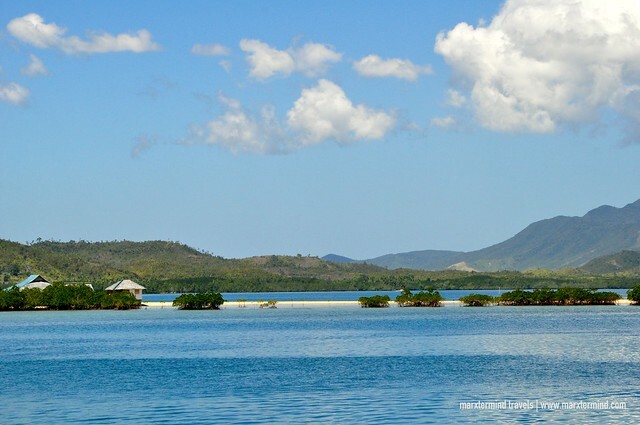 Palawan is truly an ultimate destination with islands, beaches and natural wonders to admire. 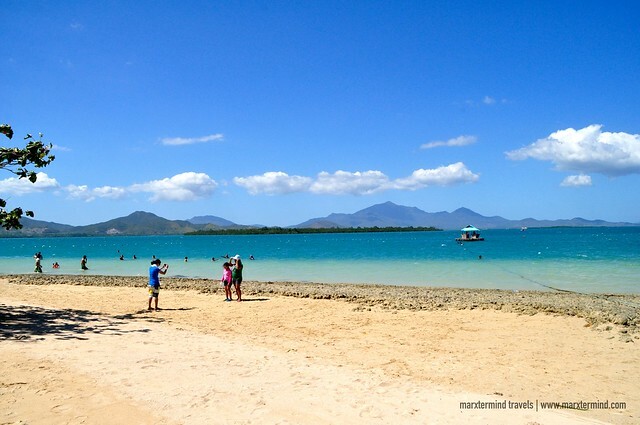 Disclosure: Natural Arts Travel and Tours hosted our group with our island hopping in Honda Bay. All notes and opinions are my own. Must agree that you are one of the coolest blogger I ever saw. Thanks for posting this useful information. This was just what I was on looking for. I'll come back to this blog for sure! 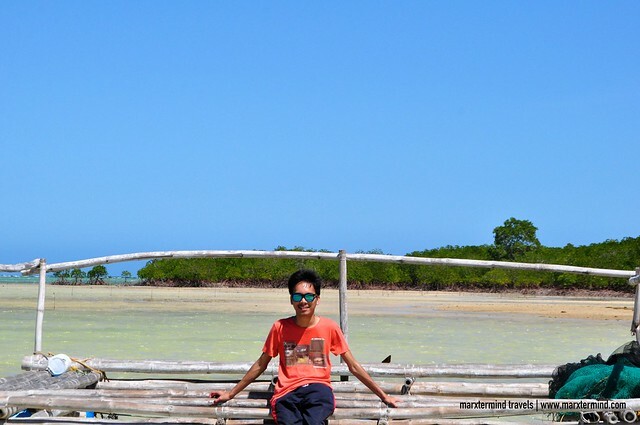 Island hopping is one thing I missed when I had the chance to visit Puerto Princesa. We did some touring around main attractions and of course the underground river experience but not the island hopping part. it was rainy when we were there that is why we cancelled the plan.